What better way to spend Valentine’s Day than with those you love? We went whale watching today, out in the Santa Barbara Channel, looking for whales – grey and humpback appeared – and spotting dolphins, sea birds, and the geological uniqueness of Anacapa Island. 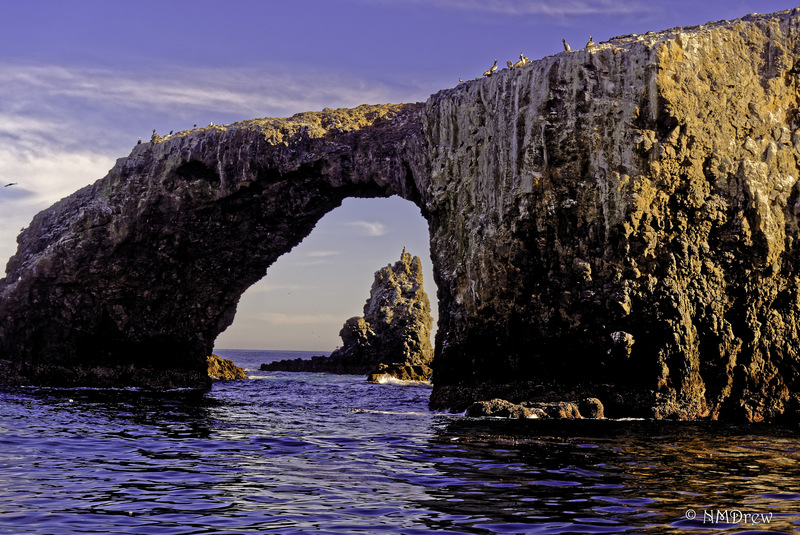 This entry was posted in Glimpses and tagged "photography", 1 Nikon 30-110mm, Anacapa Island, Arch Rock, Channel Islands, DxO Optics Pro 10, Nikon V1, Valentine's Day. Bookmark the permalink. How lovely, would love to see whales. 🙂 Lovely colour in the shot. We didn’t get to see too many whales – the best siting was a “blow” and then a flip of the tail. I have a few of their backs – humpback whales and grey whales are what were around. And oodles of dolphins.